This collection of video trailers draws on original footage and photographs from thirteen productions I was involved with in San Francisco between 1995 and 2003. The range of work includes classic and original plays, devised pieces, musicals, and dance. Use the VIDEO INDEX to the left to locate specific projects. Produced by Art Street Theatre. Written & Directed by Mark Jackson. Produced by Art Street Theatre. Directed by Mark Jackson. Produced Art Street Theatre. Created and performed by Gillian Brecker, Mark Jackson, Bricine Mitchell, Jake Rodriguez, and Beth Wilmurt. Written & Directed by Mark Jackson. Produced by Art Street Theatre. Conceived by Jordon Flato & Mark Jackson. Written & Directed by Mark Jackson. Commissioned & Produced by EXIT Theatre. Created & Performed by the cast. Directed by Mark Jackson. 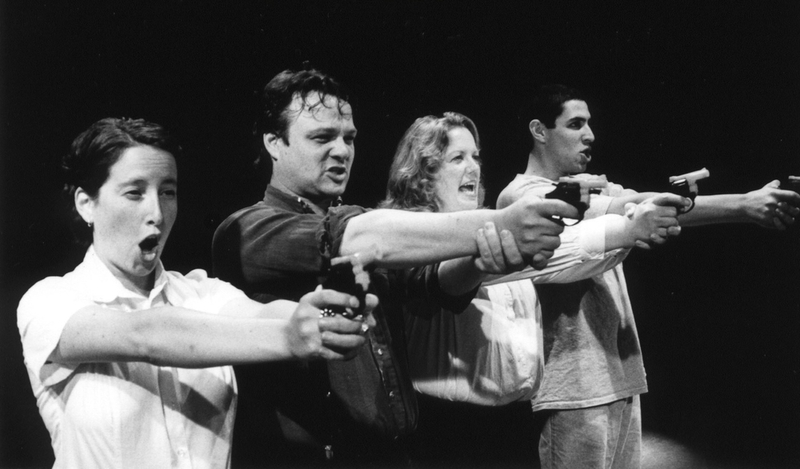 Produced by Art Street Theatre (2001) and Encore Theatre Company (2002). Music & Lyrics by Marci Karr. Book, Lyrics, and Directed by Mark Jackson. Produced by Art Street Theatre. Directed by Kevin Clarke. Written & Performed by Mark Jackson. With Temple Crocker as Ophelia. Produced by The Shotgun Players. Written & Directed by Mark Jackson.